Looking for a new credit card? We've picked a few credit cards that we believe would suit your needs. Self Lender does not perform a hard credit pull, but one of the following third-party lenders or financial service providers might. Please review terms and conditions before applying. The credit card offers that appear on this site are from credit card issuers from which Self Lender receives compensation. This compensation may impact how and where products appear on this site, including the order in which they may appear within listing categories. Self Lender does not include all credit card offers that might be available to consumers in the marketplace. 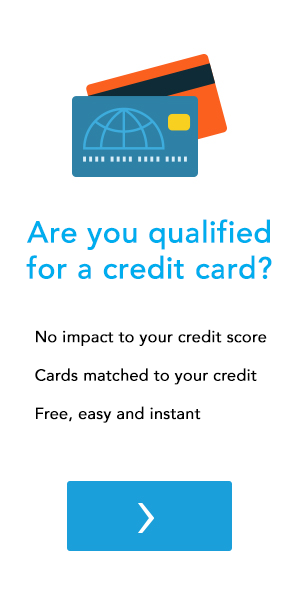 Find card offers you are more likely to qualify for without impacting your credit score. Save time by comparing matched offers from multiple partner banks. You may be matched to special offers based on your credit profile. See your matched offers in less than 60 seconds. Get matched to the card feature that's right for you. Find cards with Low Interest, Cash Back, Balance Transfers, and Travel Rewards. Users may not be matched with all offers or banks. Matches are based on a user's credit profile. See the CardMatch Terms and Conditions for more details. This is a credit card - not a debit or prepaid card.